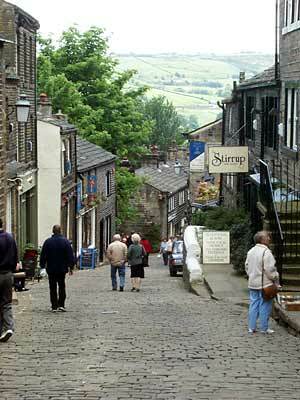 Haworth, an attractive village in West Yorkshire, is in an area often called Bronte country because of its association with the Bronte authors - Emily Bronte, Charlotte Bronte and Anne Bronte. 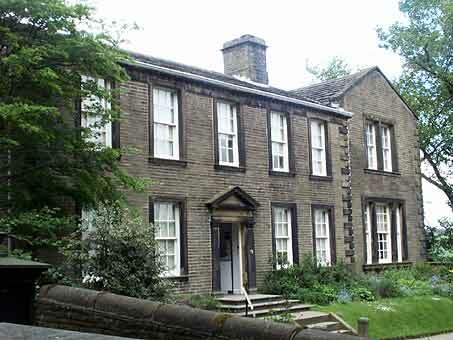 The family moved to the Haworth parsonage in 1820, (picture one), which is now the Bronte Parsonage Museum. 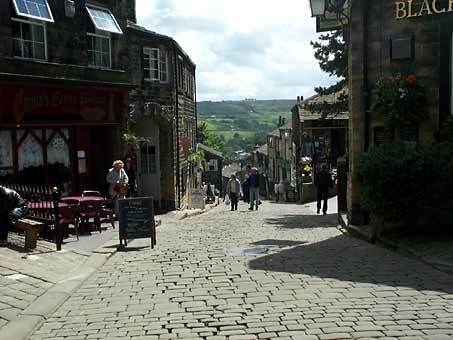 Picture two shows the main street with the Black Bull public house on the right, a regular drinking haunt of Branwell, their brother. 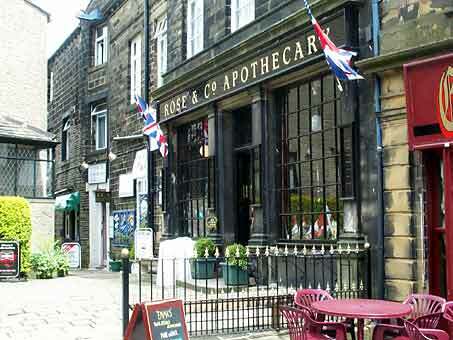 The two following photographs are the apothecary where Branwell Bronte bought his opium. 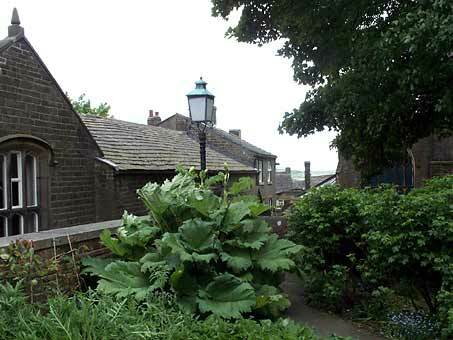 Branwell was an alcoholic and an opium addict, addictions that ultimately led to his death at the age of 31. 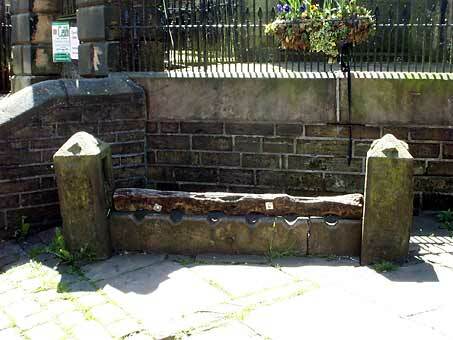 The village stocks are to the right of the steps leading to the parish church (the Church of St. Michael and All Angels) where the Brontes' father, Patrick, was the curate. 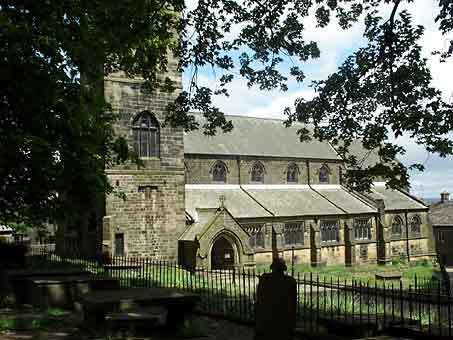 The Bronte family are not buried in the churchyard but in a vault beneath the church itself. 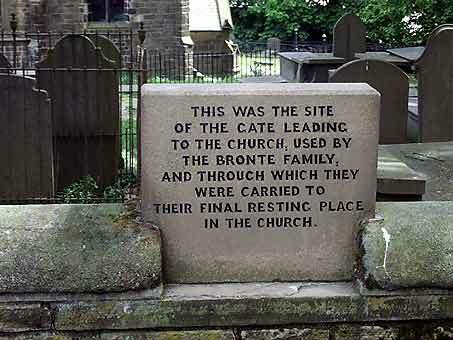 Anne Bronte, the youngest of the three sisters, died in Scarborough and is buried in St. Mary's churchyard, overlooking the sea. All died of tuberculosis at a young age. Charlotte (1816-1855) was 38, Emily (1818-1848) died aged 30, and Anne was only 29 when she died in 1849. Patrick outlived all his family and died in 1861 at the age of 84. There were three other children in the family apart from the famous authors - Maria 1814-1825, Elizabeth 1815-1825 and his only son, Branwell 1817-1848. 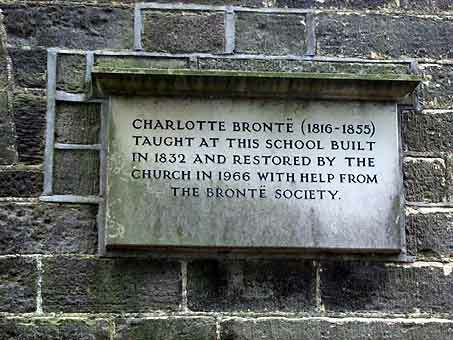 Charlotte Bronte taught at the village school, next to the parish church. The plaque on the school wall commemorates this. 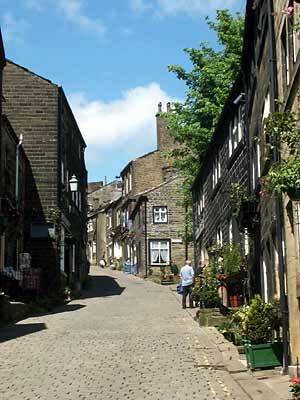 The last two photographs are of Haworth's cobbled street. The three sisters wrote under pseudonyms of Currer Bell (Charlotte Bronte) Ellis Bell (Emily Bronte) and Acton Bell (Anne Bronte) to disguise their femininity and to get their works into print. Branwell was also a writer, but his work has been overshadowed by that of his sisters. Charlotte's most remembered novel is Jane Eyre. Emily wrote Wuthering Heights, and Anne, the youngest of the three was the author of The Tenant of Wildfell Hall. The ruins of Wycoller Hall near Burnley, Lancashire, are thought to be the inspiration for Ferndean Manor in Charlotte's novel, Jane Eyre. Top Withins has associations with Emily Bronte's Wuthering Heights.